A new fruit bat species found in the rainforests of Papua New Guinea and described in the Records of the Australian Museum this month resembles Yoda closely enough that it has actually been referred to simply as the “Yoda bat” — at least until now. 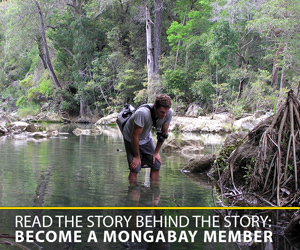 The bat was given its scientific name, N. wrightae, in honor of conservationist Deb Wright, who spent two decades building conservation programs and long-term scientific capacity in Papua New Guinea. The character Yoda, the venerable Jedi Master from the Star Wars franchise, may have come from a galaxy far, far away, but his face seems to pop up a lot here on Earth. Earlier this year, two new species of tarsier were described by scientists. Tarsiers look so much like Yoda that they inspired an unconfirmed rumor that the character was based on the small but surprisingly capable creatures from the island nations of Southeast Asia. A new fruit bat species found in the rainforests of Papua New Guinea and described in the Records of the Australian Museum this month also resembles Yoda closely enough that it has actually been referred to simply as the “Yoda bat” — at least until now. “Since most remote Papuans have never seen Star Wars, I thought it fitting to use a local name: the Hamamas — meaning happy — tube-nosed fruit bat,” Nancy Irwin, an Honorary Research Fellow in the Department of Biology at the University of York in the UK and author of the study describing the species, said in a statement. 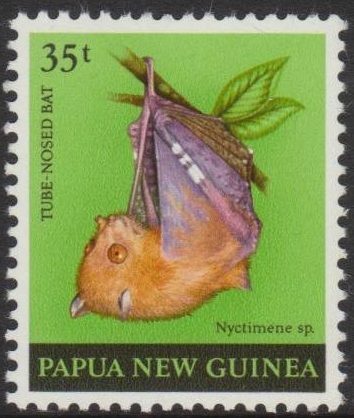 There are 18 known species in the tube-nosed fruit bat genus, Nyctimene, all found in northern Australia, Melanesia, the Philippines, the Solomon Islands, and the islands of Wallacea (a geographic term referring to a group of islands that are mostly in eastern Indonesia). 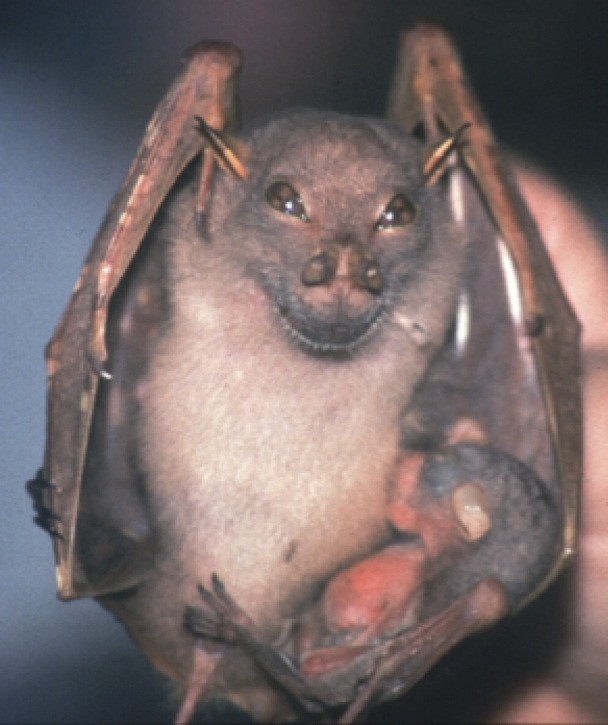 But the taxonomy of the bats “has remained problematic,” Irwin notes in the study. She combed through the existing scientific literature and examined 3,000 bat specimens from 18 different museums around the world in order to establish the Hamamas tube-nosed fruit bat as a distinct species. 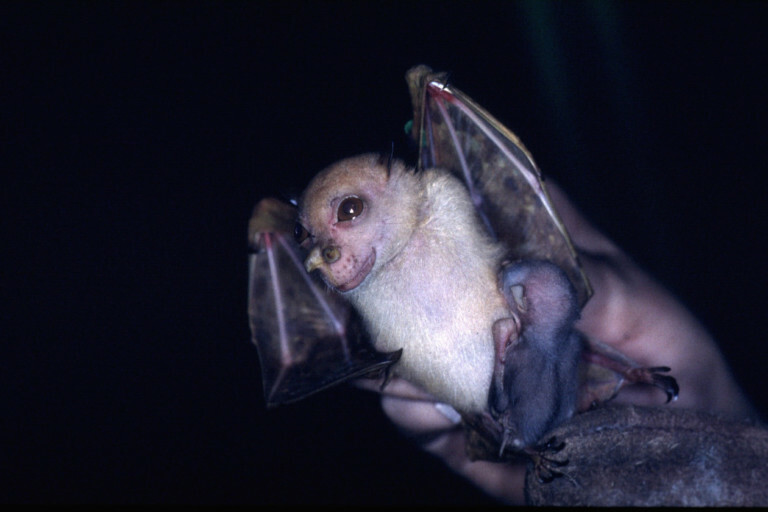 In the course of her research, Irwin was also able to establish that two other Nyctimene bats, which appear to be close relatives of the Hamamas bat, are in fact separate species, as well. Previously, scientists had differed in their treatment of N. cyclotis and N. certans, with some considering them to be the same species. N. cyclotis and N. certans are sometimes referred to as “the cyclotis group,” and Irwin said she would “tentatively” place N. wrightae in that group as well. Nyctimene bats have attracted attention for hundreds of years, Ωwith their tube noses and bright colors, Irwin notes, but researchers are still finding new hidden species in the group. Stamp illustrated by Julie Himes. The Hamamas (happy) tube-nosed fruit bat. Photo Credit: Dr. Deb Wright.